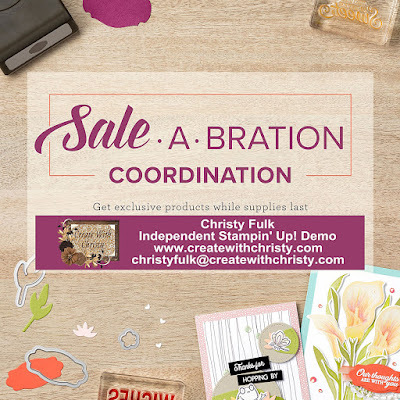 These dies coordinate with the beautiful Tea Together Cling Stamp Set in the Occasions Catalog. This stamp set has beautiful images and wonderful sentiments. 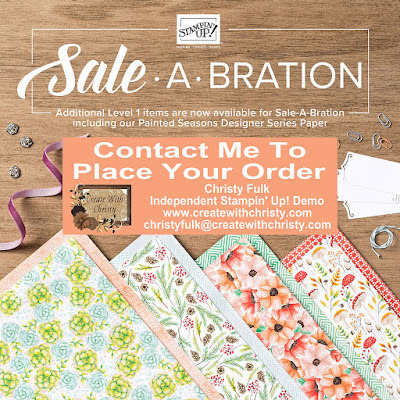 I almost forgot that you can choose the Pearlized Doilies that I used as your Sale-A-Bration item, too! 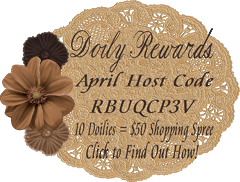 You can get TWO packs of the Pearlized Doilies FREE with a $50 order (before shipping & tax). 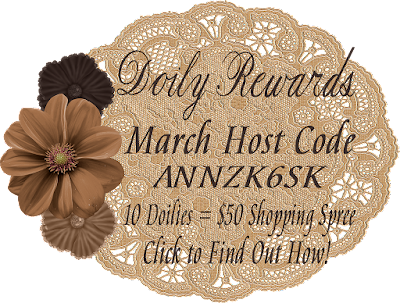 You can still purchase these doilies, too. You can find the tutorial and supply list for this card below. 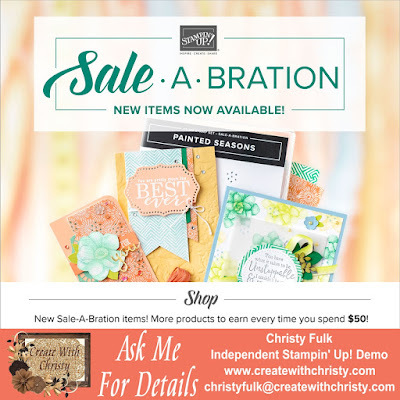 SALE-A-BRATION ENDS THIS SUNDAY, MARCH 31, 2019! Silver Metallic Edge Ribbon: 6"
Emboss the smaller Soft Sea Foam piece by running it through the Big Shot with the Lace Dynamic Textured Impressions Embossing Folder. Attach the DSP vellum piece to the Whisper White "under vellum" piece using Mini Glue Dots. Make sure to put a glue dot onto each corner, and a few along the edges where any Petal Pink color is located. The color helps hide the glue dots from the front of the vellum. Attach the Whisper White/vellum piece to the bottom of the embossed layer. 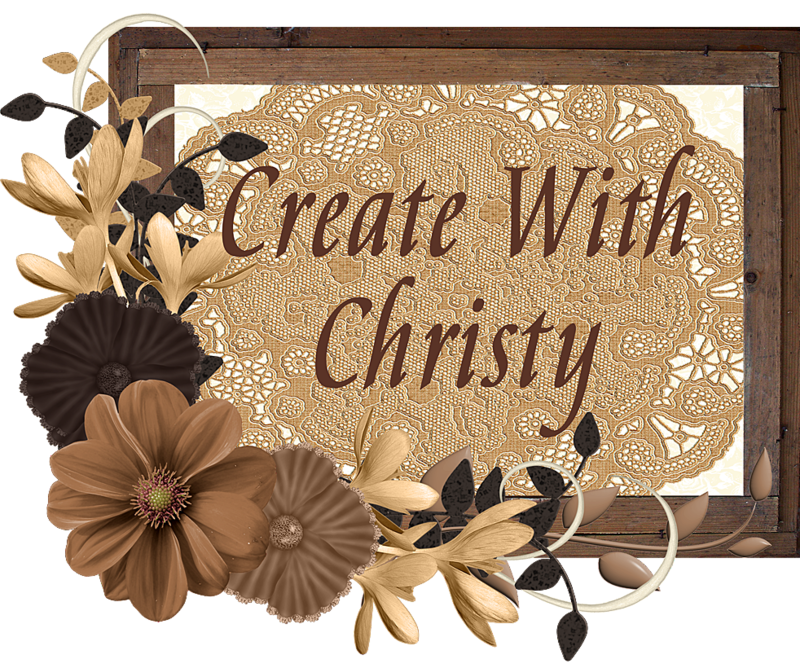 Attach the half doily to the top, right of the vellum, only putting adhesive along the top, center of the doily. Wrap the ribbon around the top of the DSP vellum, and attach the ribbon ends to the back of the embossed layer. Fold the larger Soft Sea Foam in half (fold on the left) to form the card base. Attach the embossed layer to the center of the card front. Stamp the teapot stamp from the Tea Together Stamp Set onto the Whisper White "teapot" piece using the Tuxedo Black Memento Pad. 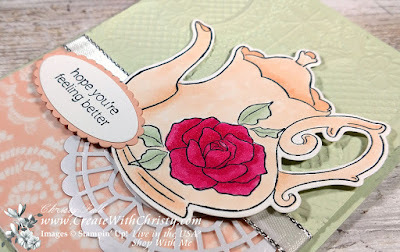 Stamp the rose stamp onto the bottom, right of the teapot using the same ink pad. 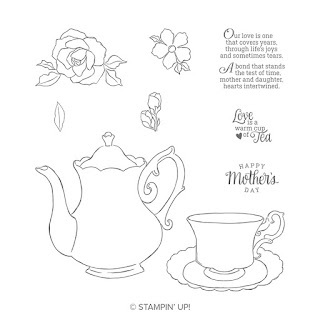 Color the rose in with the Lovely Lipstick Stampin' Blends Combo Pack. 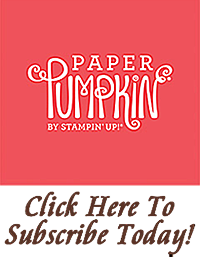 Color the leaves in with the Soft Sea Foam Stampin' Blends Combo Pack. 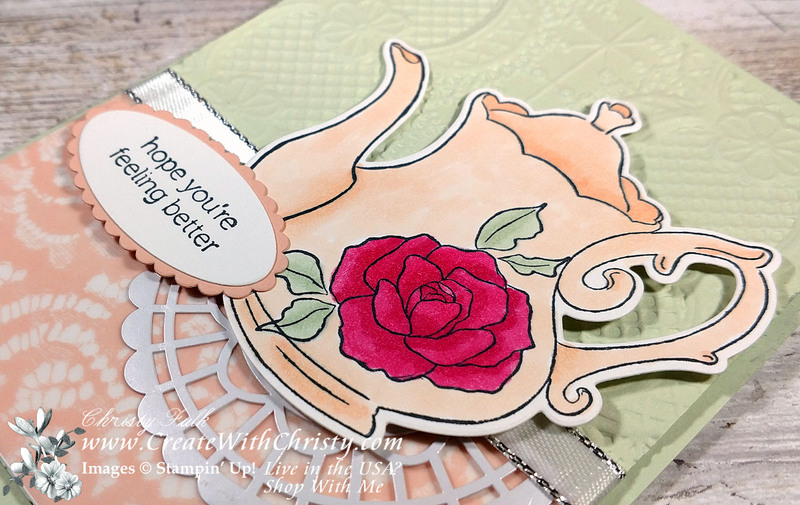 Color the rest of the teapot in with the Petal Pink Stampin' Blends Combo Pack. Die-cut the teapot out with its coordinating die from the Tea Time Framelits Dies. 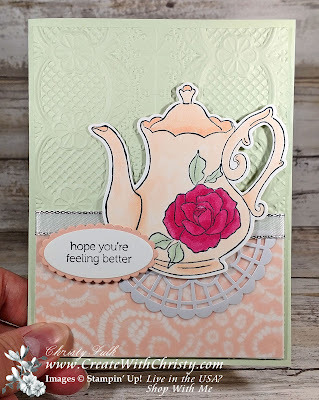 Attach the teapot onto the right side of the card, placing it over the doily, using Stampin' Dimensionals. Stamp the "hope you're feeling better" stamp from the Itty Bitty Greetings Stamp Set onto the smallest Whisper White piece using the Tuxedo Black Memento Pad. 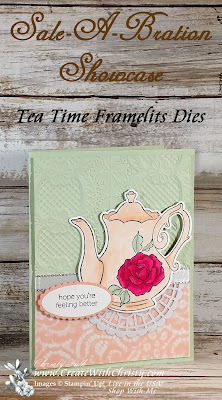 Die-cut it out with the smallest oval die from the Layering Ovals Framelits. 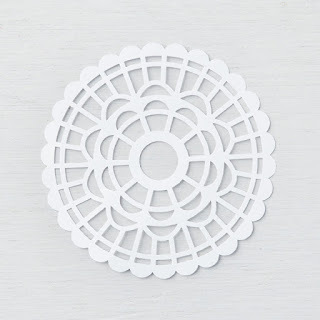 Die-cut a scallop oval out of the Petal Pink piece using the smallest scallop oval die. 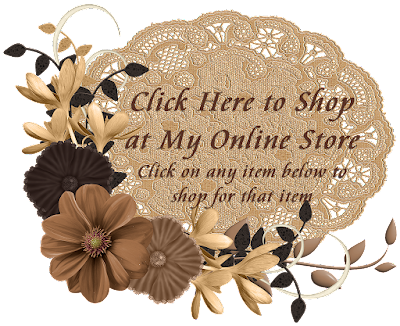 Attach the greeting oval onto the center of the Scallop Oval. 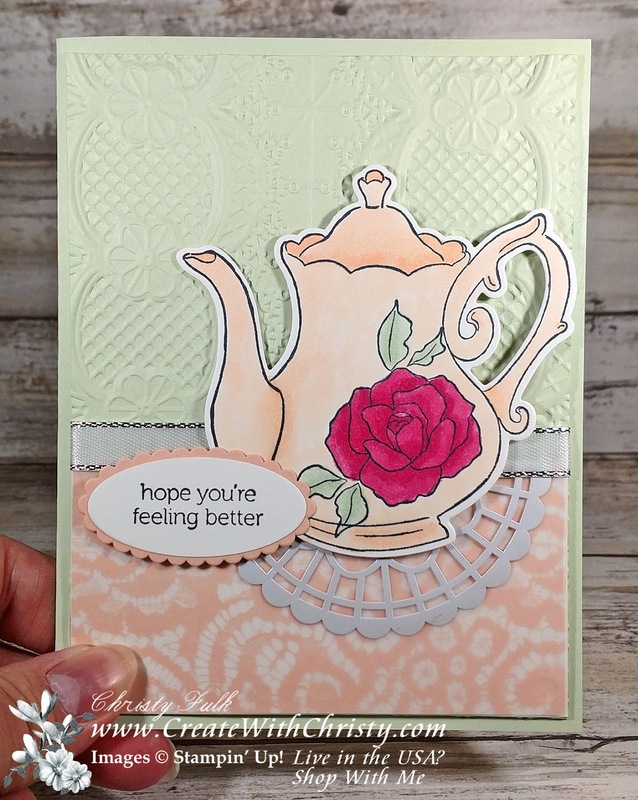 Put SNAIL Adhesive onto the back of the right end of the scallop oval, and put a Stampin' Dimensional onto the back of the left end. 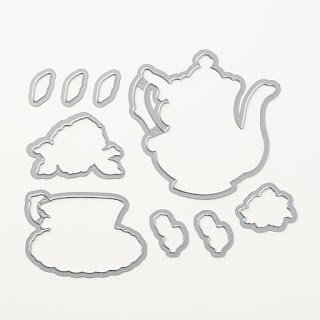 Attach it to the left of the teapot.